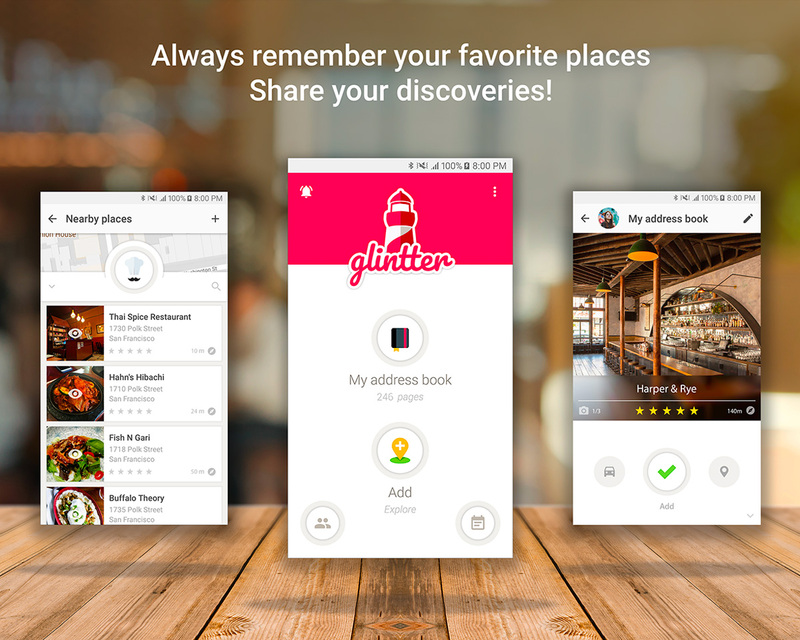 Glintter is a free social network where users can save and share their best addresses with their friends! Save your favorite addresses... Add your favorite addresses and keep them within easy reach. Always stay inspired for your next outings. If you unexpectedly come across a great place but lack time to drop in, don’t miss the opportunity to discover it later… Share your discoveries... Who could be better qualified than your friends and family to recommend an unconventional restaurant, a secret bar, a stunning boutique, or other places you shouldn’t miss out? Share your gold nuggets with your peers and add those of your contacts around the world!